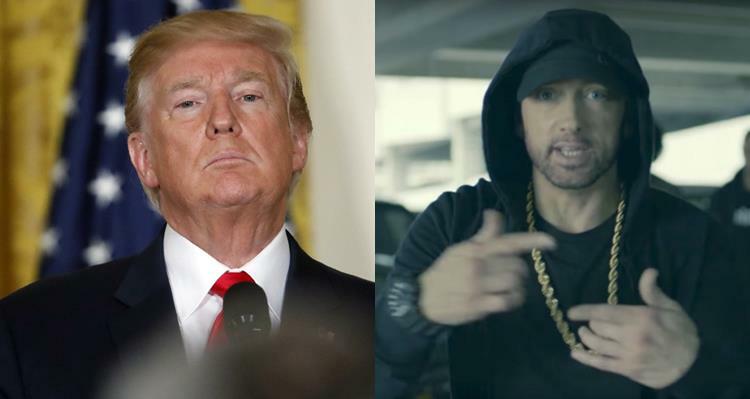 Legendary American rapper and songwriter, Eminem has aired his opinion about President Trump in a freestyle rap played at the BET Hip Hop Award on Tuesday. The rapper, in the video titled, “The Storm” lashed out at the president, accusing him of racism, hypocrisy, disrespect of military veterans and more. “Racism is the only thing he is fantastic for,” he said. He also chided Trump for his responses to the devastation in Puerto Rico from Hurricane Maria and that of mass shooting in Las Vegas. “It’s like we take a step forward and backward. This is his form of distraction, plus he get enormous reaction. “Now if you’re a black athlete, you’re a spoiled little brat for trying to use your platform or stature to try to give those a voice who don’t have one,” he said.